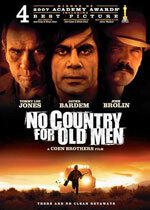 adapted as "No Country for Old Men"
Synopsis: Llewelyn Moss, hunting antelope near the Rio Grande, instead finds men shot dead, a load of heroin, and more than $2 million in cash. Packing the money out, he knows, will change everything. 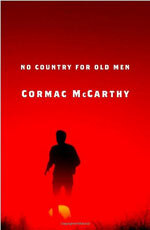 But only after two more men are murdered does a victim’s burning car lead Sheriff Bell to the carnage out in the desert, and he soon realizes how desperately Moss and his young wife need protection. One party in the failed transaction hires an ex–Special Forces officer to defend his interests against a mesmerizing freelancer, while on either side are men accustomed to spectacular violence and mayhem. The pursuit stretches up and down and across the border, each participant seemingly determined to answer what one asks another: how does a man decide in what order to abandon his life?